Could someone please help with my bearings? 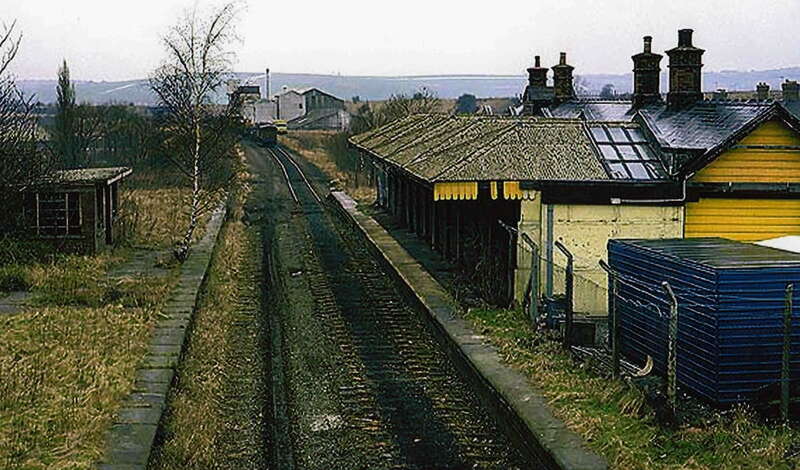 I walk the TPT regularly, through the remains of a station,, is this near? You’ll not find much left, Linda! It’s at the top of Station Road, Killamarsh, mainly a pile of rubbish, but a brick chimney stack survived. The lovely old stone platforms are still there, they could tell a tale or two, also the bridge over the trackbed connecting station road to Forge Lane. I worked there as a secretary to a diamond drilling company late 60s/early 70s. We still had coal wagons coming through then, usually when you were in the middle of a phone call. I have very fond memories of it, my dear old Grandpa used to take me on the train to see my cousin, I remember being so frightened when the noisy hissing wheels chugged into the station. I had to go in the waiting room! Happy times. My grandfather passed away when my mother was about 6 years old. She was always telling me stories about Killamarsh where she grew up, and also that her father, George Buckley, worked for the Railways (Killamarsh) during 1920’s to 1930’s, before WW2.